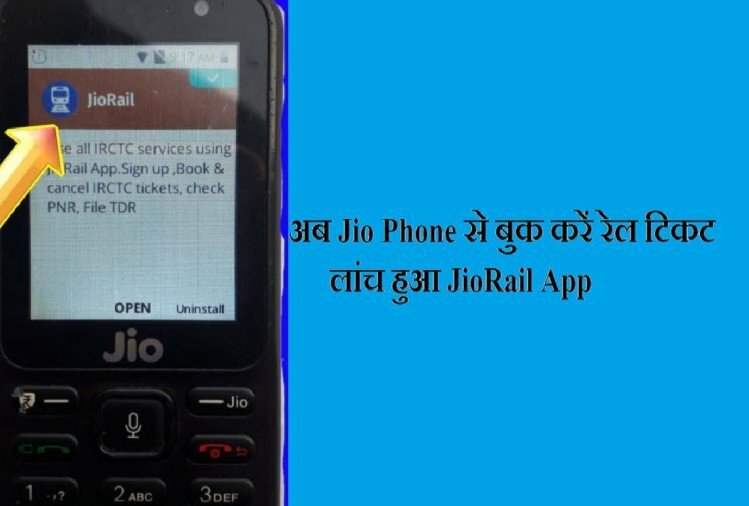 Jio Launches JioRail App for JioPhone and JioPhone 2 users : In its continued effort towards building a Digitally empowered India, Jio is redefining convenience for its users yet again. For the first time, IRCTC reserved ticket booking service is available for users on any JioPhone through the brand new JioRail app. The app will allow customers to book and cancel tickets by using debit cards, credit cards and e-wallets, check PNR status, train information, timings, routes, seat availability and several other services at a click of a button on their JioPhones. Available on the Jio App Store, the JioRail app also allows Tatkal booking for any last minute travel plans. If a user does not have an IRCTC account, the app also allows them to create an account and then proceed for the required ticket booking. With JioRail, users can also check the PNR status for tickets booked through the app. The app also plans to offer enhanced services like PNR status change alerts, locate train and food ordering in future. Train ticket booking has been made quite simple on the JioRail app. With this unique service, India’s consumers can avoid standing in long queues or pay agent fees to book tickets and instead enjoy an enhanced digital life experience.